Shampooing Luisant Violette . Blonde/ Light Hair Formulation . Made Of The Finest Botanical Extracts & Fortifications Sans Exception. 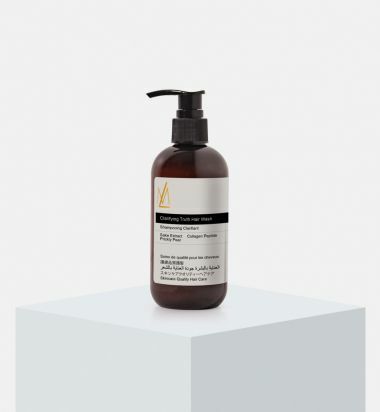 Clarify and Protects hair from damage. Effectively bring beautiful natural tones back to blonde and silver hair for healthy radiance and shine. Illuminate hair after bleaching. Kale Protein . Enriched Keratin . Goji Berry Extract . Gingko Biloba Leaf Extract . Shampooing Clarifiant . 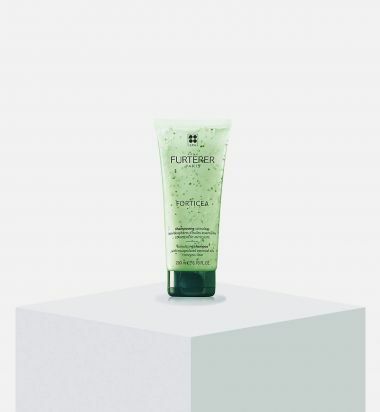 Made Of The Finest Botanical Extracts & Fortifications Sans Exception The Shampoo transforms into a rich foam that effectively draws out the impurities and buildup on the scalp. Leaves hair soft and shiny with a lightweight finish. Powerful enriched formulation utilizing Sake Extract. Sake makers are known for their soft hands while Japanese Geisha are known for their flawless skin and soft hair, both due to the use of Sake. A long-held Japanese beauty regime includes the use of Sake baths to achieve moisturized , flawless hair and skin. Naturally rich in vitamin, minerals and amino acids. Sake is used to smooth , soften and protect. Sake Extract . Collagen Peptide . Prickly Pear . 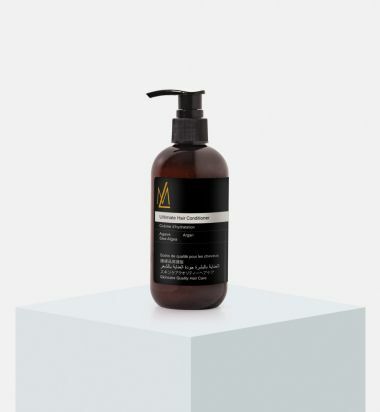 This one-step deep-cleansing shampoo and mask for oily scalps features Curbicia extract, Rhassoul clay and a blend of Thyme, Rosemary and Clove essential oils to enhance volume and shine while extending time between washings. Once or twice a week, apply to damp scalp focusing on the roots. Leave on for 2–5 minutes before adding water and working into a lather. Rinse thoroughly. 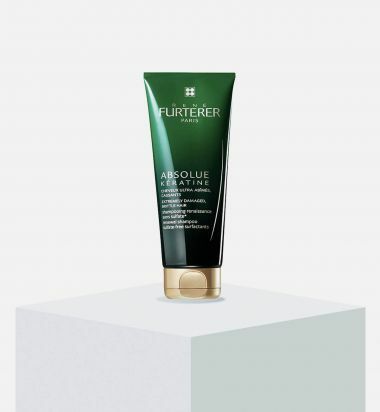 Formulated with highly nourishing and fast-acting repairing ingredients, ABSOLUE KÉRATINE renews brittle, damaged hair caused by heat styling and chemical treatments. This luxurious, plant-based formula restructures deep down to the core to restore hair’s strength and natural beauty for softer, shinier, healthier hair. All ABSOLUE KÉRATINE products are sulfate-free and silicone-free with natural ingredients making them safe for use on all hair types. Apply to wet hair. Work into lather and then rinse. Use once or twice a week. 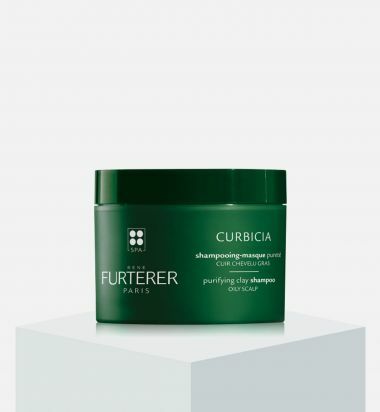 This stimulating shampoo compliments and enhances the effects of the René Furterer thinning hair treatments. It gently cleanses while microbeads of essential oils increase scalp microcirculation, encouraging the growth of stronger, thicker and healthier hair. Apply to wet scalp and massage in, work into a lather and rinse. 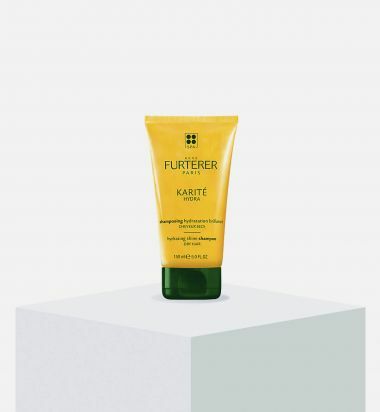 Rene Furterer's KARITÉ HYDRA Hydrating Shine Shampoo is a gentle cleansing formula with a rich, creamy lather that hydrates and protects the hair. Infused with shea oil, this nourishing shampoo helps to gently remove tangles and leaves hair supple and shiny. Cimentrio: protects hair and scalp from external damage. Ideal for dry hair and scalp.